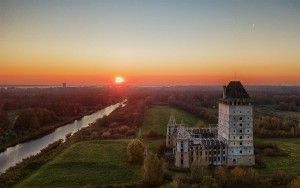 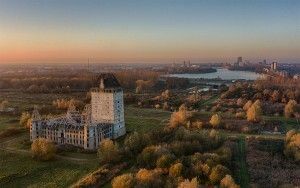 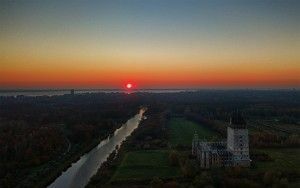 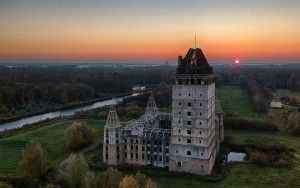 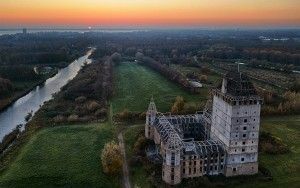 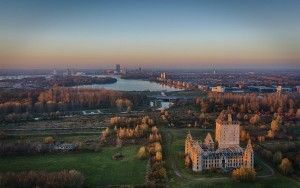 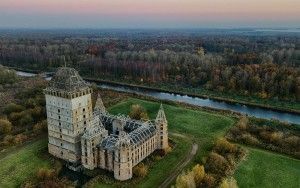 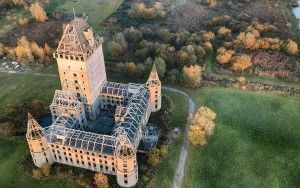 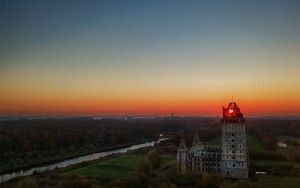 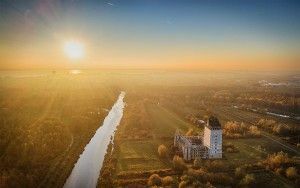 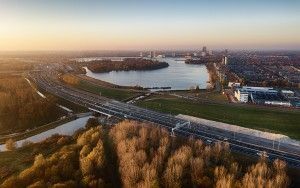 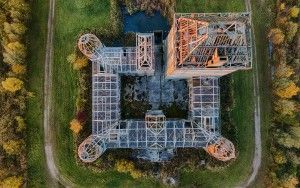 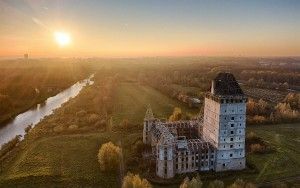 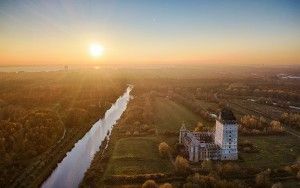 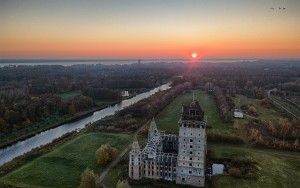 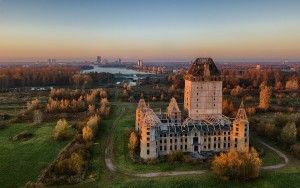 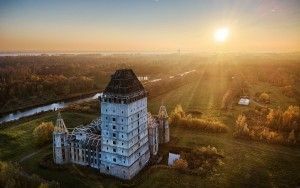 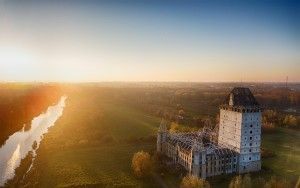 I took this drone picture of Almere castle during sunset on a cold autumn day. 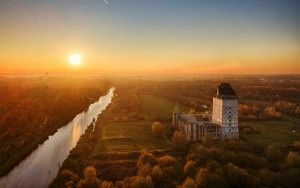 The trees around me were leafless, while some other trees had nice autumn colours. 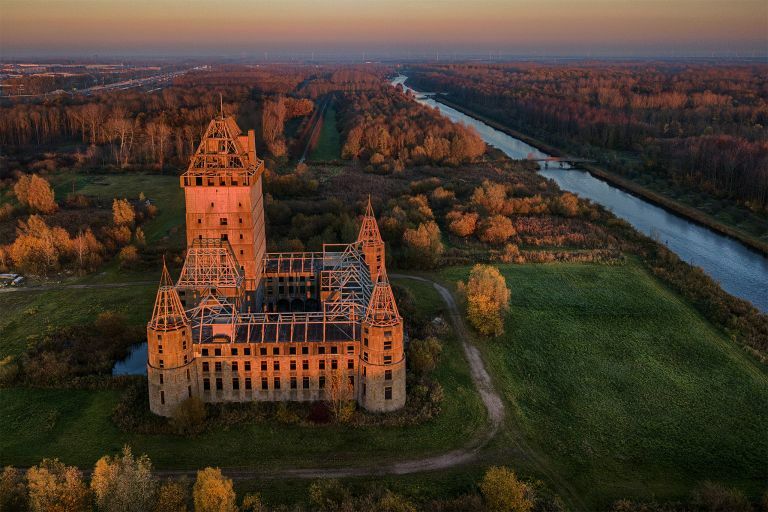 The sun coloured everything nicely orange though.